We are dealing with distribution of goods under one roof – we store, pack and deliver your goods and parcels. Without your worries and cheaper. For all kinds of goods and seizes of packages or pallets. 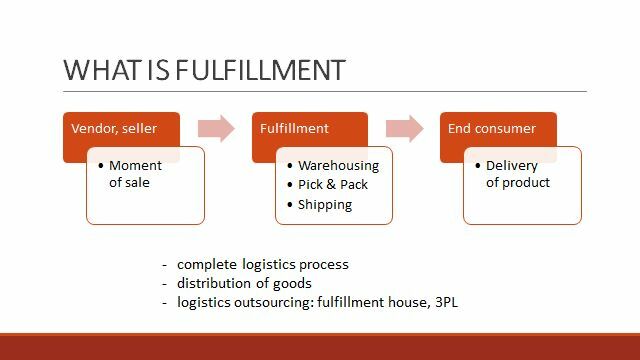 Order fulfillment/fulfillment, in general, means complete logistics process from the moment of sale until the delivery of product to end customer realized by specialized company. 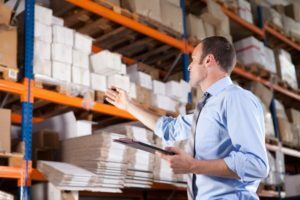 It is commonly understood as a distribution of goods (in parcels, envelopes or on pallets) to end customer by a third party – provider of fulfillment services. Simply said, fulfillment is everything that is needed to be done by provider from the moment of getting an order until the order is succesfully processed and the product is delivered to buyer. Company providing these services of logistics outsourcing is called fulfillment house, or 3PL provider (third party logistics provider). The biggest provider in Central Europe is our company FHB Group. The service is for all the companies dealing with physical goods. These are mostly e-shops, mail order businesses, exporters, importers, manufacturers, promotional materials, spare parts, consumer goods, etc. Warehousing and packing take place in our warehouses. Delivery of goods can be done anywhere in Central Europe, all over Europe and even worldwide, and thanks to our big volume for great prices. Nowadays, an efficient solution of logistics and distribution of goods is one of the most important success factors, mostly concerning trade companies.